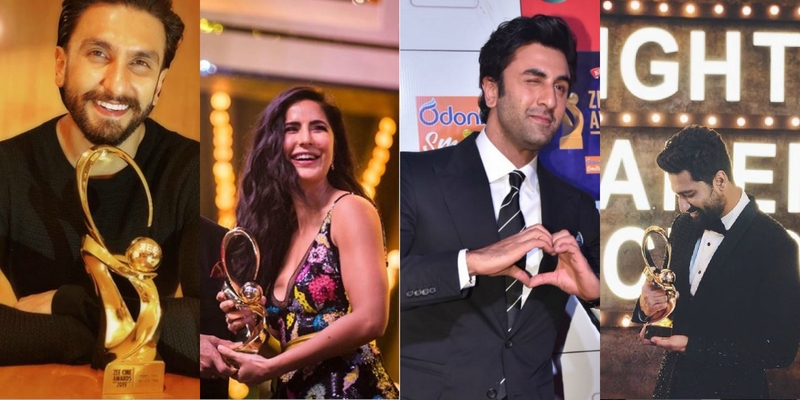 The Zee Cine Awards 2019 saw many Bollywood celebrities gracing the red carpet. Many actors including Alia Bhatt, Ranbir Kapoor, Ranveer Singh, Vicky Kaushal, Janhvi Kapoor, Madhuri Dixit attended the grand event. The event was hosted by Uri actor Vicky Kaushal and Luka Chuppi fame Kartik Aaryan with some powerful performances from Madhuri Dixit, Varun Dhawan, Kiara Advani, Ayushmann Khurrana, Kriti Sanon and Ranveer Singh.